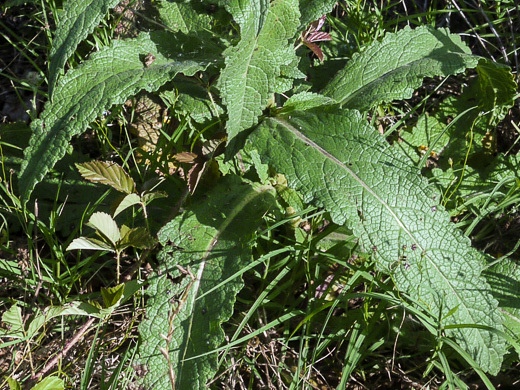 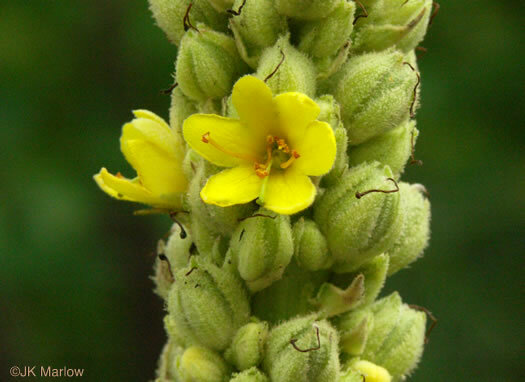 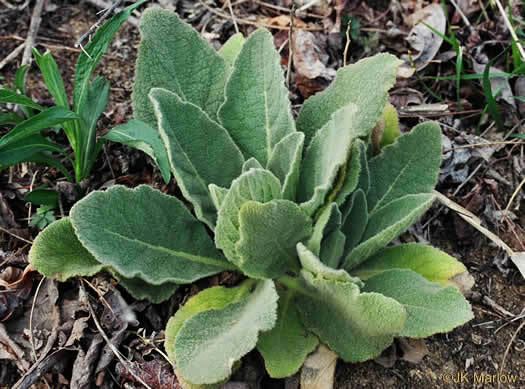 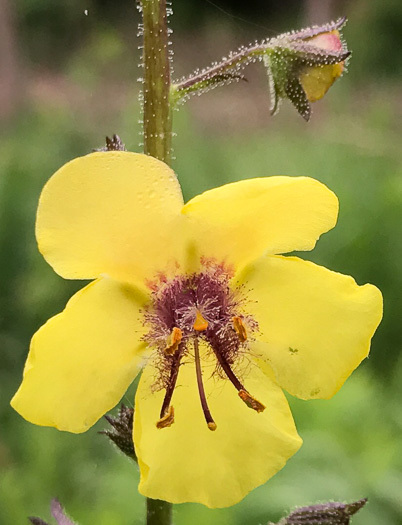 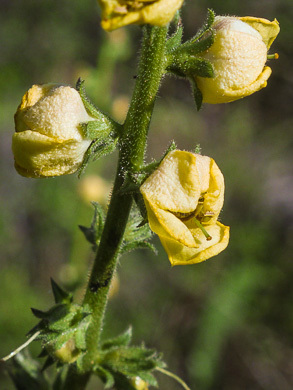 Your search found 16 image(s) of Moth Mullein, Wand Mullein, and Woolly Mullein. 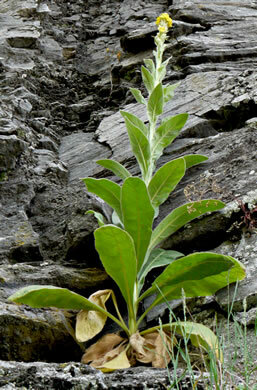 Cauline leaves glabrous, crenulate to dentate-serrate, per Vascular Flora of the Carolinas. 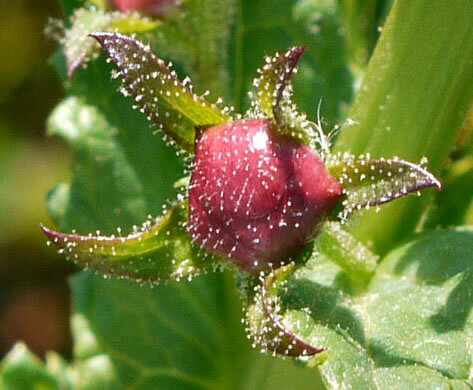 Hairs of the calyx & upper stem simple & glandular; pedicels longer than calyx, per Weakley's Flora. 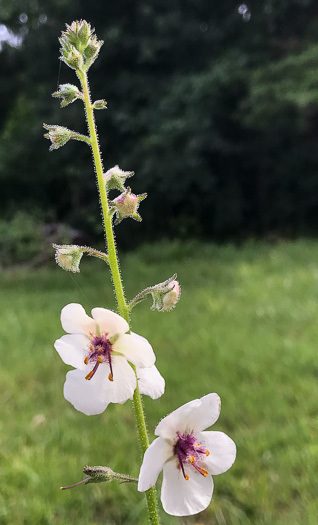 The terminal raceme is long and loose with a single flower at each node, per Wildflowers of Tennessee. 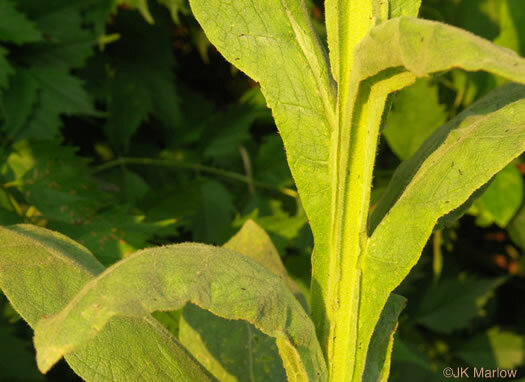 Leaves may be hairy or may not [vs. leaves of V. blattaria glabrous], per www.CalFlora.net. 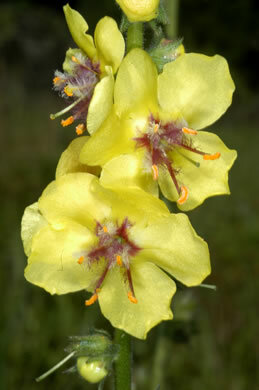 If you see multiple flowers [fruit] per node, it is virgatum not blattaria, per www.CalFlora.net. 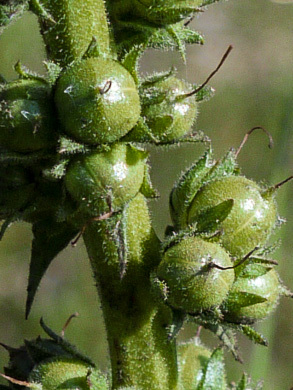 Glandular hairs dense on the leaves and on the stems, per Weakley's Flora. 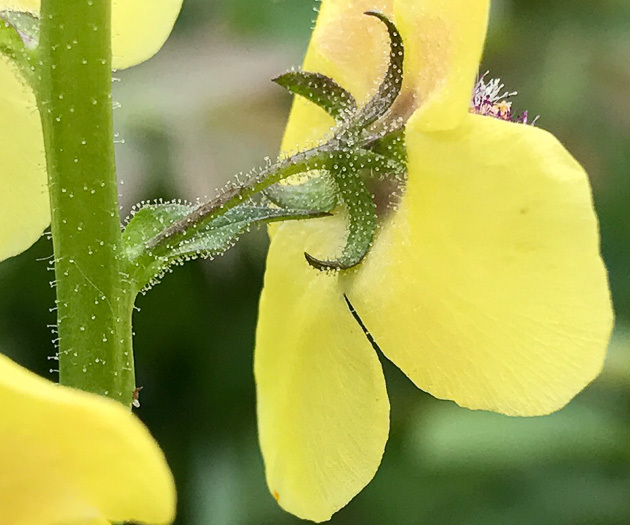 Pedicels 1-3mm long, shorter than the calyx [vs. V. blattaria longer], per Weakley's Flora. 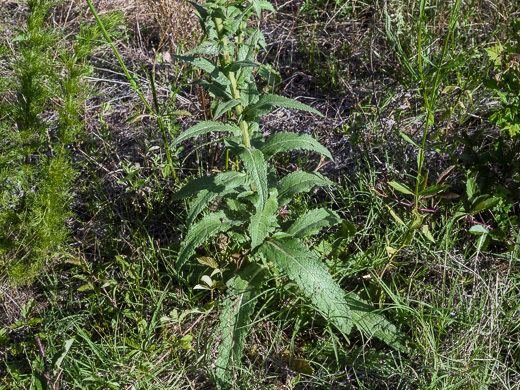 Leaves densely woolly hairy, in a basal rosette & alternate spiral on stem, per Forest Plants of the Southeast and Their Wildlife Uses. 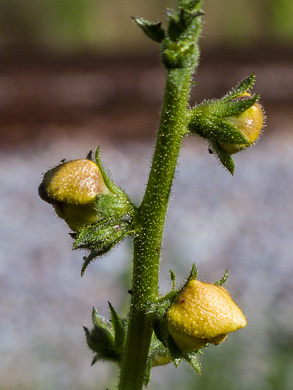 Inflorescence dense and spike-like (at least initially), per Weakley's Flora. 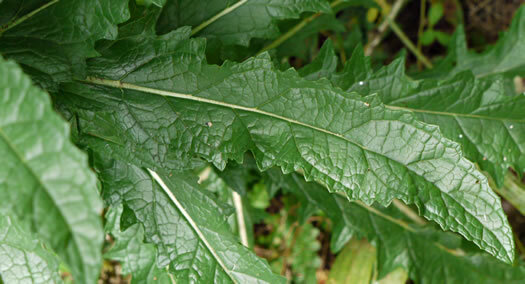 Leaves sessile, decurrent down the stem to the next leaf, per Weakley's Flora.